Medium: lithograph (after the ink drawing). Chillida created this composition in 1964 (in homage to his friend and fellow artist Georges Braque, who died the year before) for the special 1964 edition of Derriere le Miroir (No. 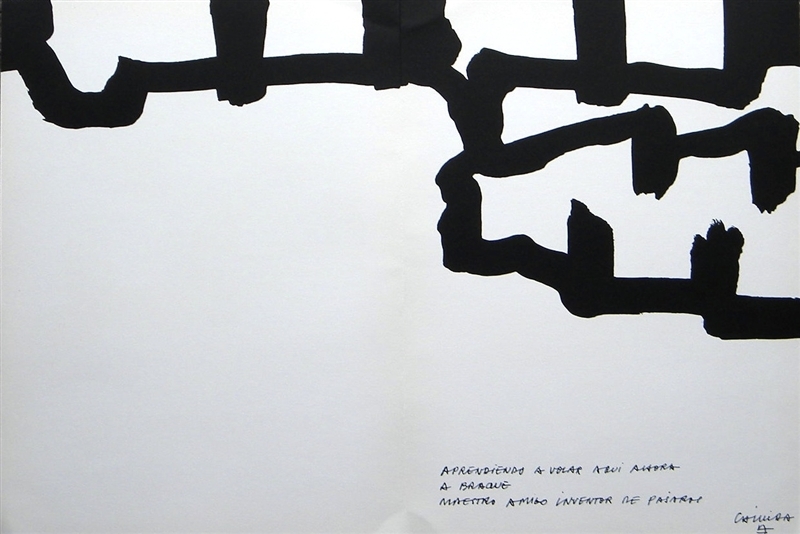 144-145-146) published in Paris by the Maeght atelier. The total sheet measures 15 x 22 inches; there is the center fold and text on verso, as issued. Plate-signed, not hand-signed. Condition: there are bumps near the edges of the sheet.